Do you have a family member with dementia, but the nearest support service is two hours away? This is an issue that a lot of caregivers face. Sometimes, it can help to talk with, and gain support from, others who are going through the same situation as you. The Alzheimer’s Foundation of America (AFA) offers easily-accessible, telephone-based, free support groups for families and caregivers of individuals with Alzheimer’s disease and other dementia-related illnesses. You can call into the support group from your home, car or office, and speak in an open forum with others about your concerns, and realize that you are not alone. Through this support group, you will hear how others have coped with their loved ones and the illness. FA has two ongoing support groups at this time. AFA’s general caregiver support group is held on Monday evenings from 7:00 p.m. to 8:00 p.m. EST. AFA also offers a group geared toward adult children of individuals with dementia, held on Wednesday afternoons from 1:00 p.m. to 2:00 p.m. EST. AFA’s licensed social workers facilitate the support groups, allowing the space for a safe discussion for participants to receive emotional support and feedback from their peers. 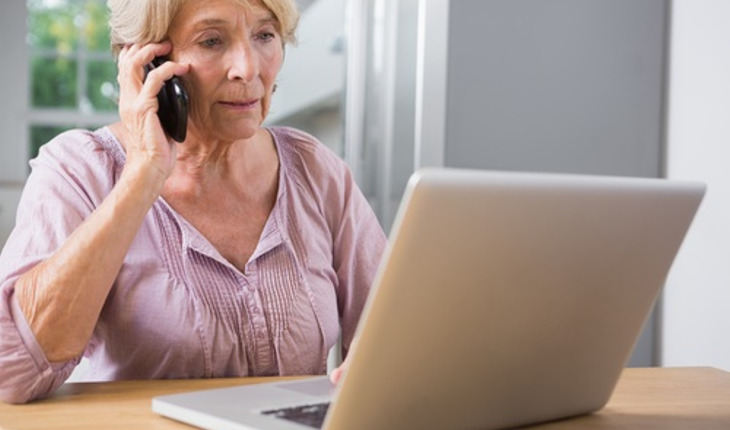 AFA’s telephone-based support groups provide the opportunity for individuals to gain support from any space and any place in their busy lives. Participants are able to discuss topics that they are faced with when caring for their loved one living with a dementia related illness, including family stress, loss of identity, changes in their relationships with loved ones, financial concerns and care transitions. If you have a loved one with dementia, reach out to AFA’s licensed social workers at 866-232-8484, who can assist you in finding the right group for your needs. The Alzheimer’s Foundation of America, based in New York, is a non-profit organization that unites more than 2,500 member organizations nationwide with the goal of providing optimal care and services to individuals confronting dementia, and to their caregivers and families. Its services include a national, toll-free helpline (866-232-8484) staffed by licensed social workers, educational materials, a free quarterly magazine for caregivers and “AFA Partners in Care” dementia care training for healthcare professionals. For more information about AFA, call 866-232-8484, or visit www.alzfdn.org.